Birthday parties, like a lot of things, can get a little out of control. Bounce houses, gift bags, clowns, inviting the whole preschool class--the bigger the better. There are lots of people that will give advice about how to set boundaries and limits. And a lot of it is good advice. 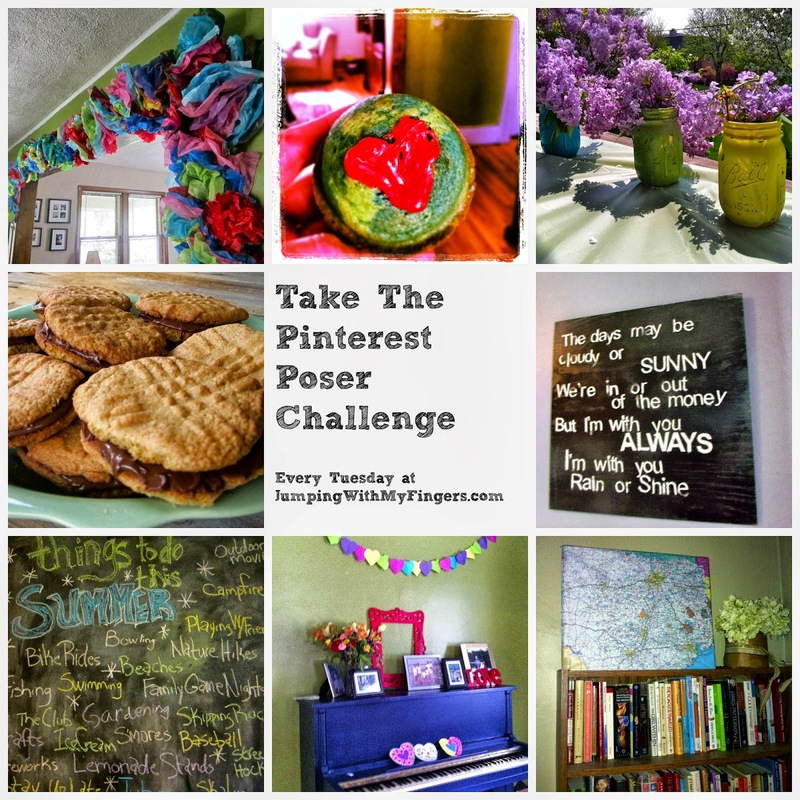 For this week's Pinterest Poser Challenge* I am showing you a party that bucked the bigger is better trend that is all over Pinterest and your typical suburban neighborhood. 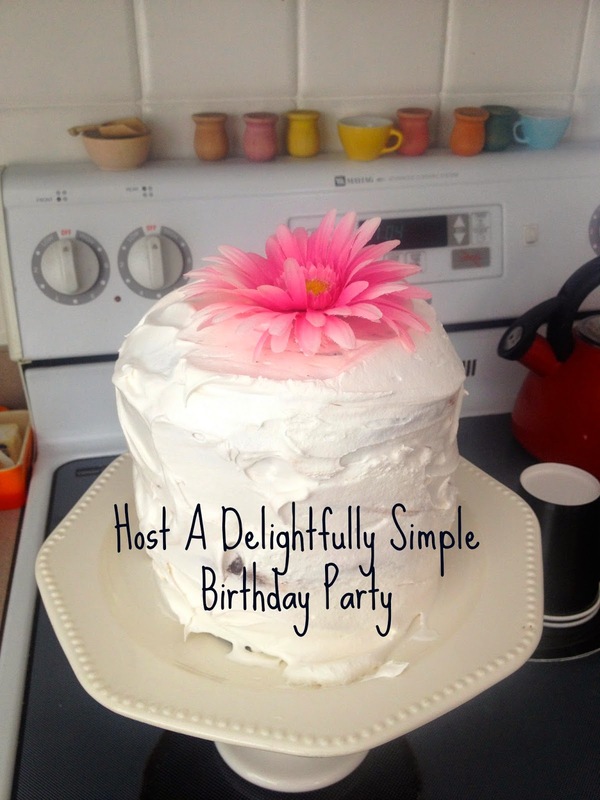 For this week's challenge I am going to show you a delightfully simple birthday party. 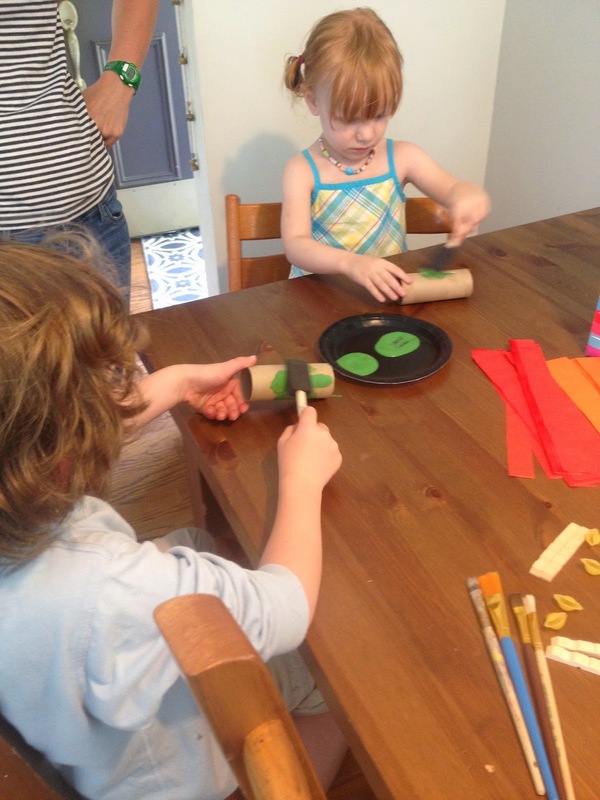 Last week, my friend hosted a delightfully simple party for her daughter Sadie. A party perfect for a couple of cute four-year-olds and their moms. 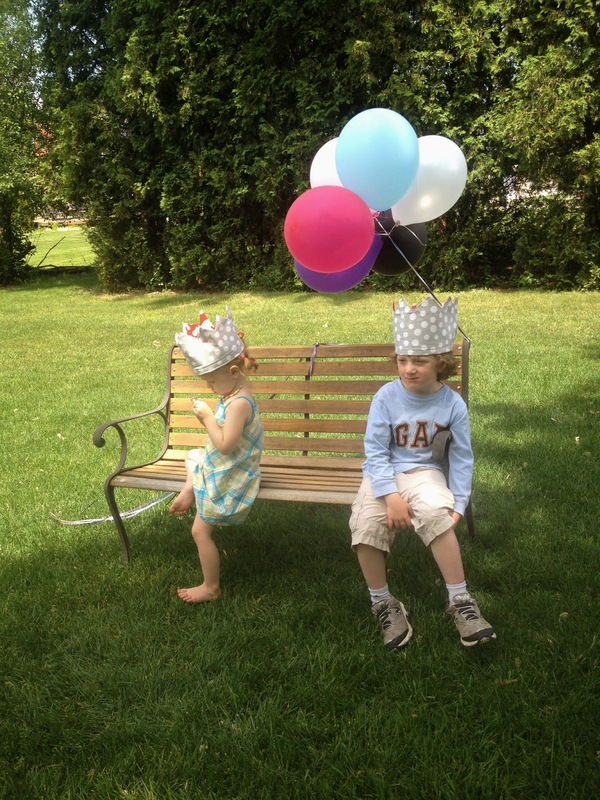 My friend Liane hosted the perfect party for her daughter, Sadie, who turned four last week. She and Wade are buddies--they play well together, they play well side by side. I thought about naming this post The Adventures of Sadie and Wade because they are just so damn cute. A party of two (four including the moms) was the perfect number. Liane sewed adorable crowns for the kids. 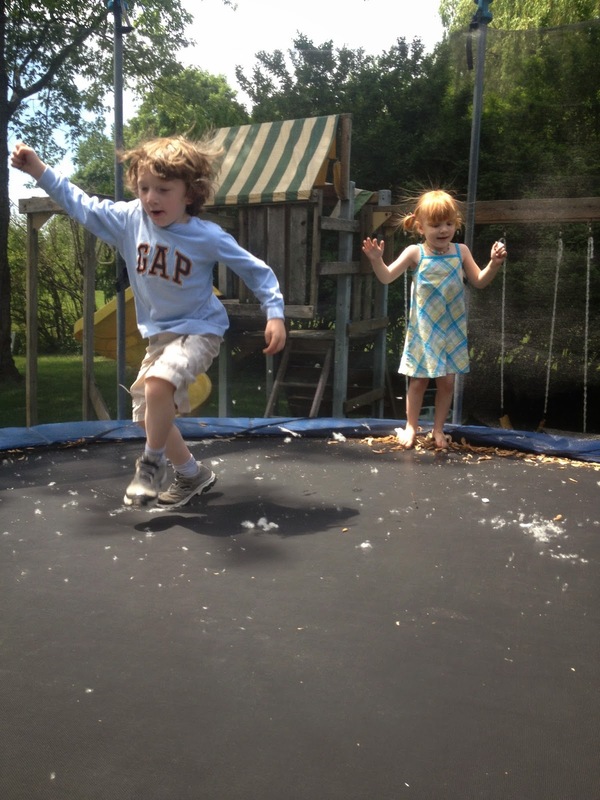 They obliged for a couple pics and then they were off playing, jumping on the trampoline and laughing. She made a cake that was the perfect size for a party of two. 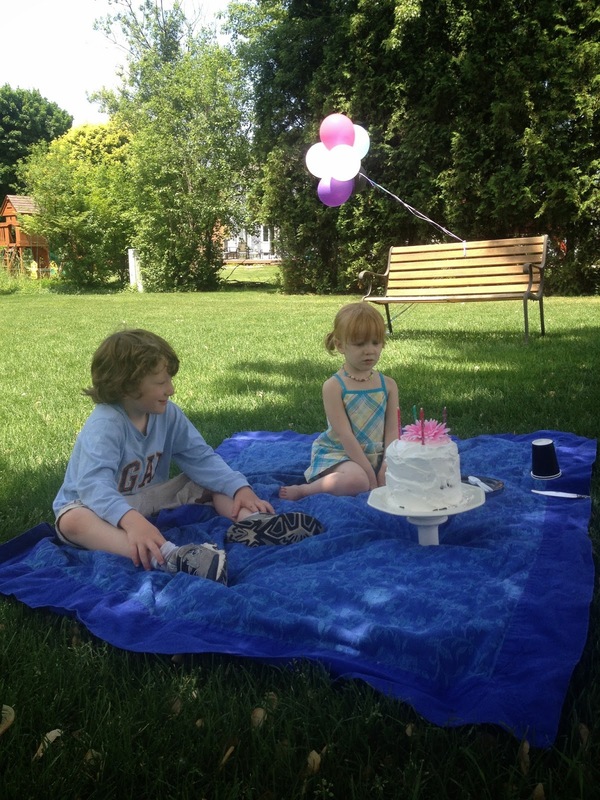 Sadie and Wade (and the moms) sat on a picnic blanket and sang happy birthday and ate cake. It was pretty delightful and simple and easy and not overwhelming or disappointing and it was the best kind of perfect. She organized a craft for the kids. 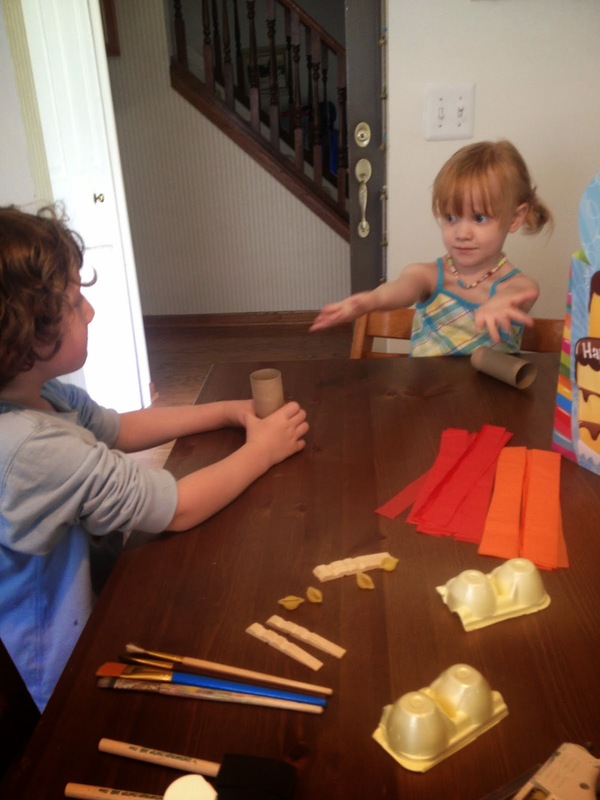 It was a dragon made out of toilet paper rolls and egg crates. It didn't work out exactly like the picture on Pinterest, but they had a blast painting it. Birthday parties don't have to be all we hired a clown and we have the perfect everything and invite everybody. Sometimes the best, most perfect parties are the small, intentional, delightfully simple parties. Did you see last week's vlog with Sadie and her mom in it? Check out their amazing version of Radiohead's Creep. Have you made anything inpsired by Pinterest lately? Or do you have a simple birthday success story? Share it here or on my Facebook page. Head on over and follow my Pinterest boards-click here! Oh yeah, and come follow me on Twitter @AngelaYBlood and subscribe to my YouTube channel here. What a delightfully awesome party!